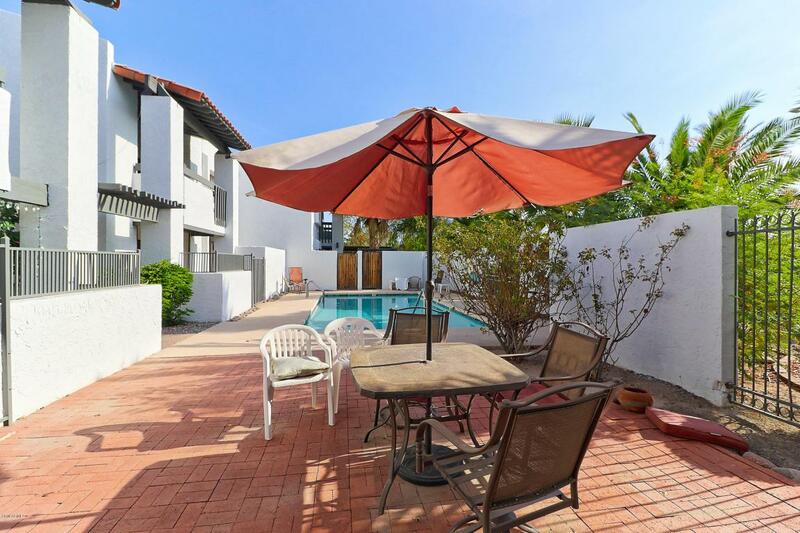 Beautifully renovated condo in the quiet community of Villa West. Open and comfortable feel with soaring vaulted ceilings, natural lighting, spacious bedrooms, inside laundry, and a large covered private patio. Freshly renovated with kitchen cabinets, granite counters, fresh paint, and new floors. Split bedroom floor plan, master suite has a huge walk in closet. A short walk to all Old Town Scottsdale has to offer: fine restaurants, galleries, shopping, nightlife and historic sites. Downtown Trolley route provides easy access to all the sites. Don't miss this very special home. Cross Street Osborn And Scottsdale Rd.